With over 200 Team Registrations and 250 Individual Registrations, thanks to the support of Media Partner Parsi Times, the Community is all abuzz about WINGS’18 – the Community’s premier Sports and Cultural 4-day extravaganza – which takes flight on 8th November, 2018 at the Rustom Baug Grounds. With new events such as 1v1 Football, Paintball and PUBG, WINGS’18 has increased its category of events to cater to all kinds of talent. The concept involves all events happening simultaneously at one venue. There’s a Football ground, a Box Cricket set up, a Paintball arena, and two Volleyball courts – where sports will be played for the event, simultaneously! The Group Stage events will be held on the 8th and 9th of November; the Football, Sepak, 1v1 and Indirect Finals will be held on the 10th, while all other Finals will be held on Sunday, the 11th. The Treasure Hunt will take place at Midnight on 11th November and will be an All Mumbai Treasure Hunt with no restrictions based on categories or transport. The PUBG and Paintball events will comprise Squads and have a Straight Knock Out based format. There will be special prizes for Maximum Kills, etc. The Talent Contest will be held on 11th November, 7:00 pm onwards at the Rustom Baug Grounds. The list of talent entries includes some of the biggest names in the community with acts by professional singers, national level dancers, aerialists, show jumpers, magicians, and flame artists, among others. Some of the talent acts will include Rudabeh Vajifdar playing the Ukulele; professional magician who was awarded the prestigious Merlin Award by the International Magicians Organization, naming her the best female teenage magician in the country – Zenia Bhumgara, who will perform a mind reading act; Violinist Behram Hathi, who is part of the Mehli Mehta orchestra; Vishtasp Kothawala, the National Level BByoy currently regarded as one of India’s Top 10 Bboys; along with Bollywood singer Johaan Irani, professional and charismatic singers – Cyrus Dubash and Danush Dumasia, respectively. WINGS’18 thanks The Sir Ness Wadia Memorial Trust for their support over the last two years, for the usage of the state of the art facilities; as well as thank the committee members and the colony residents for their encouragement and support for youth events. Say the dynamic team of organisers, “Though colony events can get troublesome for residents, the Sir Ness Wadia Memorial Trust has been extremely co-operative and understanding, and always been there for the organizers. 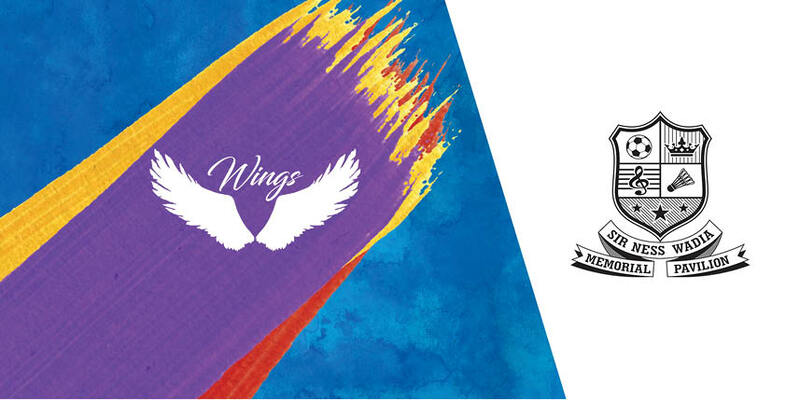 We are extremely glad to carry out WINGS’18 in association with the Sir Ness Wadia Memorial Pavilion and are privileged to have their backing and support. We also thank Parsi Times, the Community’s leading news weekly known for its high youth outreach, for their support as our Media Partners right from the inception of WINGS in 2016.